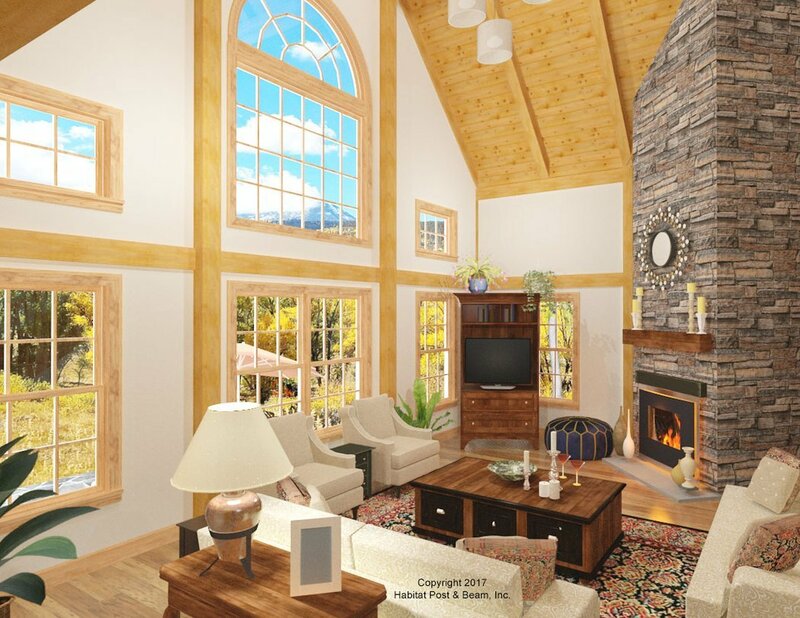 Based on our Lodge series http://www.postandbeam.com/plans/filtered?type=houses&houseDesignGroup=lodgeHomes&keywordSearch=), this vacation home will be built in the Fox Islands area of central coastal Maine. The main level is about 1870 sq. ft. (not including porches and decks) and uses our standard Beamed Exterior Wall System throughout (http://www.postandbeam.com/wall-framing-system). The center section includes an entry area with a half-bath and closet, and a flexible room that is currently designed as a study. These flat ceiling areas are all under a Beamed Mid-Floor System (http://www.postandbeam.com/floor-framing-system). Dividing the front and rear is a central stairway that introduces the spacious living area in the back, which is under the Beamed Roof System/cathedral ceiling (http://www.postandbeam.com/roof-framing-system). 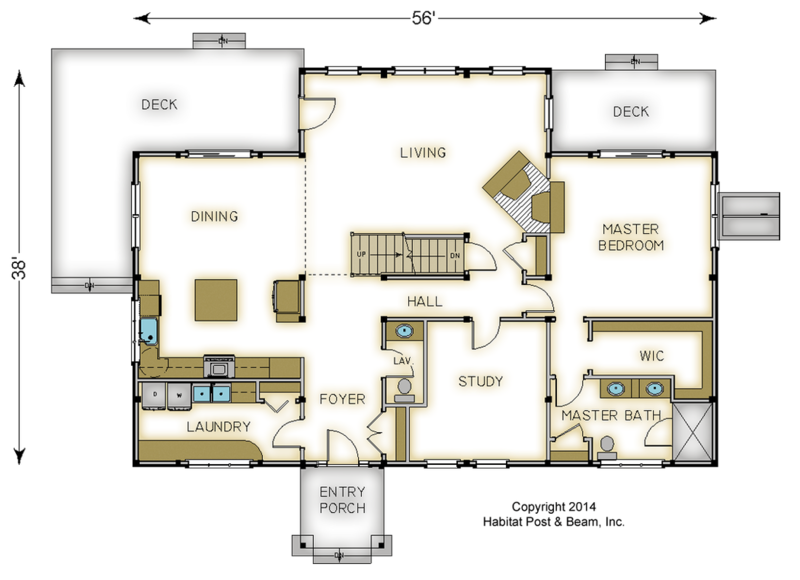 The left side (laundry room, kitchen, and dining), and right side (master bedroom suite) are both under the Beamed Mid-Floor System. Upstairs is about 1300 s.f. 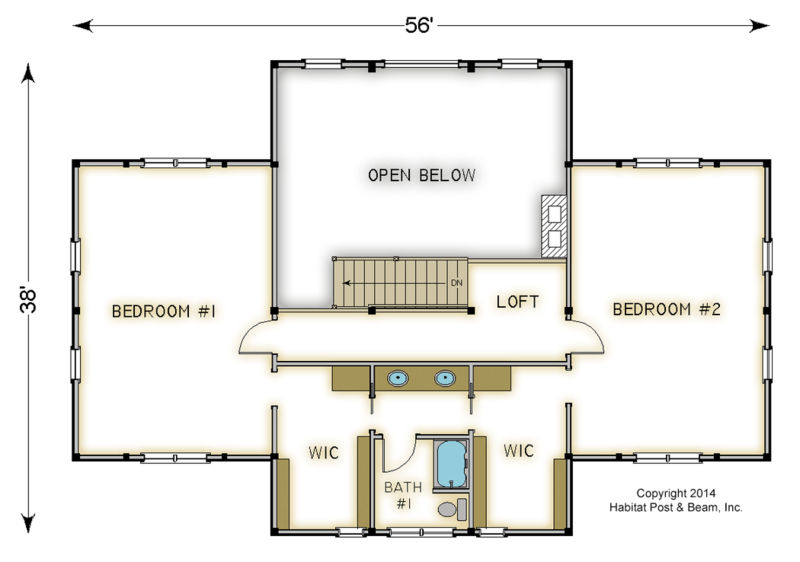 and includes a bedroom with walk-in closet on each side flanking a central bathroom. The bedrooms are connected by a loft corridor that looks down onto the living area below. The entire upper level is under a cathedral Beamed Roof System. Downstairs, the basement level with central stairway is currently designed for storage/utilities. 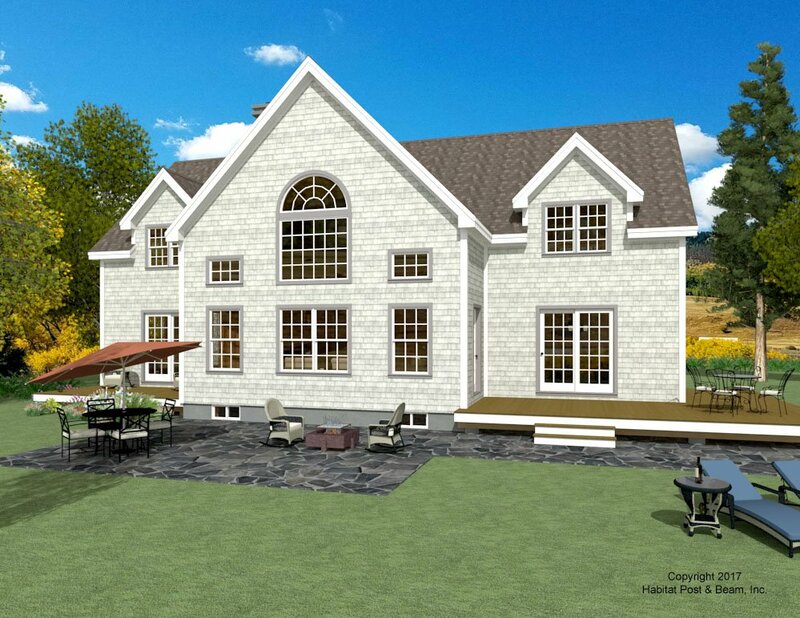 Package Price: $269,000 as specified below (from $216,000 to $282,500 depending on framing options). The standard price includes our Beamed Wall System, Plaster and Beam or Beamed Mid-Floor System (same package price) and our Beamed Roof System. The entry porch is our Beamed Porch System.